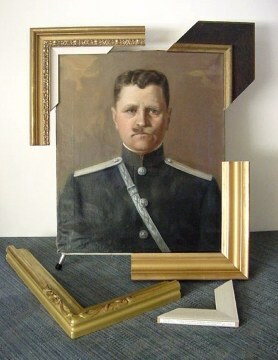 Services at MOBIUS: Art Conservation Inc.
We provide museum quality framing using replicas and period piece frames. We also construct handmade frames with compo ornaments. 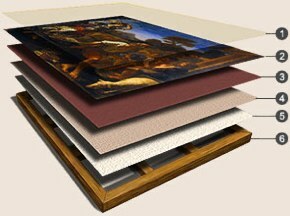 The framing materials and methods that we use meet the highest conservation standards and aesthetics. 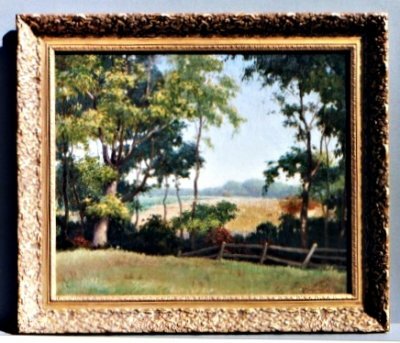 This painting by California Impressionist John O' Shea, was framed in a 22k gold, hand carved frame that enhances a fine landscape of this style and period. 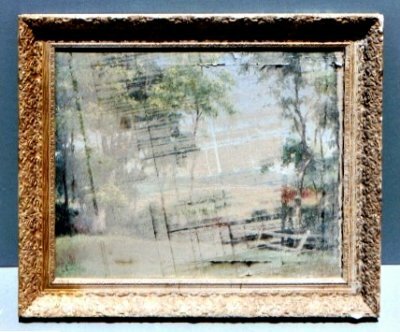 Frame conservation is limited to stabilizing the object without altering the surface layers or delicate patina but also may include loss repair and mitigating the visual disturbance. Frame restoration includes compensation for severe losses, damage, or correcting previous restorations and may include re-gilding and patinating. We provide collection management in the event of natural disasters like fires, floods, earthquakes, locust swarms, and alien invasions. This is available for both public and private collections of art. 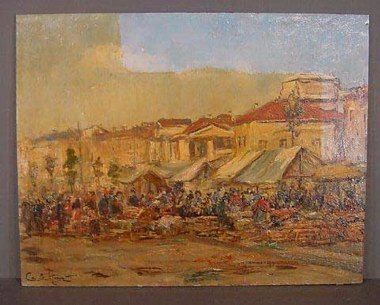 We can move our "mini-lab" on location to work on oversize or fragile artworks which will not travel safely. Transporting art is often the greatest potential danger to valuable artworks and antiquities. Appraisals establish fair market values, replacement costs, insurance estimates, estate estimates, or donation values. This is done by appraisers who are responsible members of certified appraising institutions. (Hint: Those who have a financial interests in your artworks are not objective appraisers. As members of the American Institute for Conservation, we do not provide appraisals.) We can refer you to qualified appraisers, a separate specialization. 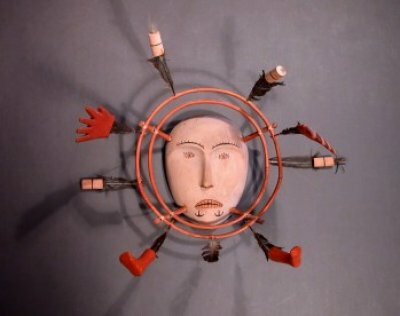 Authentication of an artist's can involve curators, conservation scientists, and conservators. We can direct our clients to professionals who provide this service. 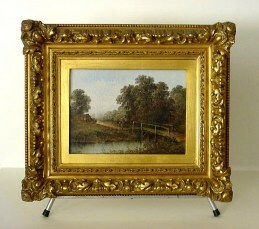 You will need to prepare a significant budget to authenticate a painting. This cannot be done on the internet or by sending photos to "experts." Vermin of all types can ruin art collections. We can create anoxic chambers for insect infestation, micro-climates, recommend procedures for pest control, or put you in touch with professionals involved in Integrated Pest Management. 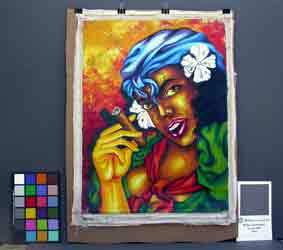 Laboratory analysis of artist materials assist in the identification of pigments, binding materials, adhesives, and other components. Please contact us so that we may facilitate a connection with conservation scientists and laboratories. 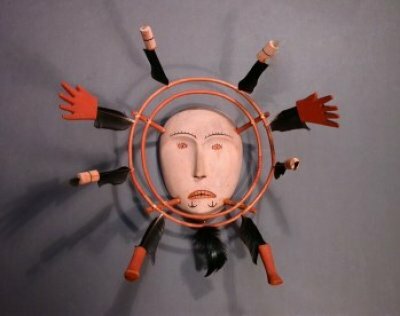 We assist clients in how to display or store art. This includes temperature, humidity, lighting, and other factors. We access data bases and can often generate a list of auction records to help establish values for your artworks. 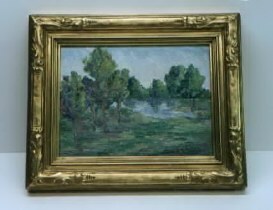 We do not appraise or authenticate fine art, but we can make referrals for you. Before, during, and after treatment photos include details, areas of damage, and signatures. Photography, under different lighting conditions, can be a diagnostic tool and uncover previous restorations. We provide color, black and white, slides, digital images, UV light photography, and infrared photography. X radiography is available through our professional associates. We can represent your interests when working with insurance companies or advise you about getting proper coverage. Sometimes collections require a thorough examination to document their condition before treatment, storage, or for various insurance purposes or appraisals. We provide on site examinations with written and photographic documentation. We make recommendations and referrals to those who specialize in art handling and worldwide shipping. Half of the art we treat is damaged in transport. Fine art requires an environment within a limited range of temperature and humidity fluctuations. We use archival storage boxes for long term storage with acid free interleaving, mylar encapsulation, and other storage materials. The creation of micro-environments and closed systems are available through our associates. MÖBIUS: art conservation is committed to mentoring pre-program students who wish to gain practical conservation skills before entering a graduate program. Student interns learn many basic skills, professional ethics, an introduction to scientific methods, and basic business principles. Student interns are recruited from the UCSC, nearby colleges, or through museums in the area.